It has become fundemental for businesses to have a website to promote their services. In many cases a website is the first port of call for potential customers so it is critical that design is of a high standard and reflects the nature of the business. 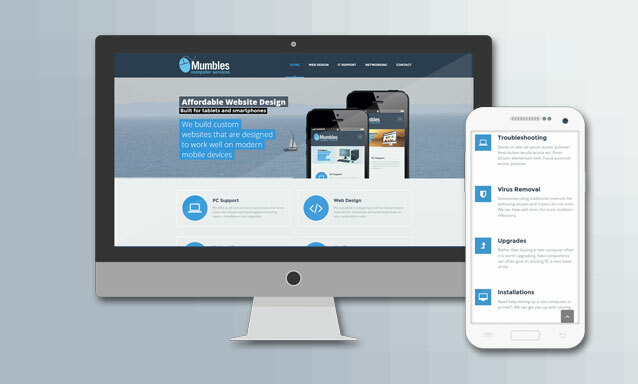 Mumbles Computer Services has been designing websites for small businesses, sole traders and individuals for over seven years. We also offer hosting packages at competitive prices to compliment our web design. The basic bronze package is suitable for smaller brochures style sites and personal pages. The silver package includes databases and is suitable for the majority of business sites and portfolios. Gold packages can accomodate large sites with high web traffic. For complete flexability we can incorporate content management system into a website. This enables full control by the owner of the site to keep the content up to date and relevant. No technical experience is required or additional software, maintainance is achieved through the owner’s Internet browser. We felt that we were working with a partner who had a real interest in our club and building a great site. I would recommend Mumbles Computer Services to anyone who is looking for a quality service.